To commemorate the 200th anniversary of Mary Shelley’s novel “Frankenstein”—and just in time for Halloween—the Syracuse University Symphony Orchestra (SUSO) in the College of Visual and Performing Arts’ Rose, Jules R. and Stanford S. Setnor School of Music will present a screening of the classic film “Frankenstein” (1931) accompanied by a performance of Michael Shapiro’s haunting “Frankenstein” score for orchestra. The screening and performance will be held on Tuesday, Oct. 30, at 8 p.m. in Hendricks Chapel. The concert is free and open to the public. The orchestra, which performs under the direction of Setnor faculty member James R. Tapia, will also present the prelude music “Night on Bald Mountain” by Modest Mussorgsky. Shapiro was commissioned in 2001 by the Chappaqua Orchestra’s Boris Koutzen Memorial Fund to write the movie score for “Frankenstein,” directed by James Whale and starring Colin Clive and Boris Karloff. The world premiere of the work with live orchestra and film occurred in October 2002 at the Film Society of Lincoln Center’s Jacob Burns Film Center in New York and since its premiere has received nearly 30 productions worldwide. Unlike “The Bride of Frankenstein” (1935), with its lush score by Franz Waxman, the original “Frankenstein” was produced without a movie score. 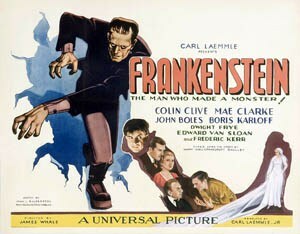 Critics such as Leonard Maltin remarked that “Frankenstein” was badly in need of music. Shapiro’s 70-minute score is written to be played under the dialogue of the film. For modern-day moviegoers, Shapiro’s haunting music adds significantly to the emotional impact of the film. For most Setnor School of Music concerts, free and accessible concert parking is available on campus in the Q-1 lot. When parking for concert events, drivers should inform parking attendants that they are attending a Setnor School of Music concert in Hendricks Chapel so the parking attendants can direct where to park. Campus parking availability is subject to change; call 315.443.2191 for current information or for more information about the concert. Those who require accommodations to fully participate in this event should contact Michelle Taylor at 315.443.2191 or mjtaylor@syr.edu.